As residential interior designers, The Ashleys have executed a wide array of projects. 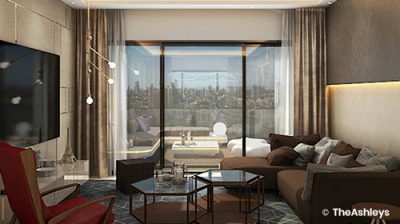 From sky apartments to show homes, from ultra-luxury getaways to homes styled in chic minimalism, The Ashleys have a portfolio that is diverse and highly applauded. The Ashleys have won multiple awards, including in the residential, pan India category. In addition, their projects have been showcased in several design publications, including a coffee table book, 50 Luxurious Apartments in India. 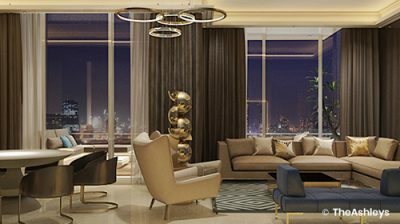 When it comes to apartment interior design, The Ashleys’ awareness of international trends and technology enables them to create bespoke homes for their clients. 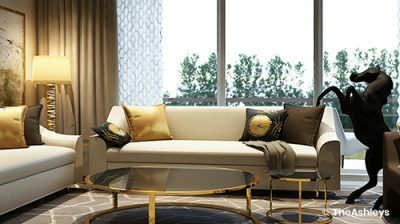 Pooja Ashley firmly believes that for a residence, it is important to weave the family’s lifestyle and taste with the designer’s innate flair, giving each project an exclusive and personalised touch. Each living space is defined by a statement style and an understated finesse. 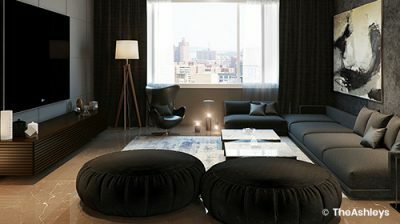 When The Ashleys undertake apartment interior designing, they create a sanctuary in which the family can enjoy personal moments of relaxation and bonding time. Private spaces are designed to be a haven from the outside world. In today’s work hard, play hard times, it is even more important that a home is customized to offer peace and relaxation. 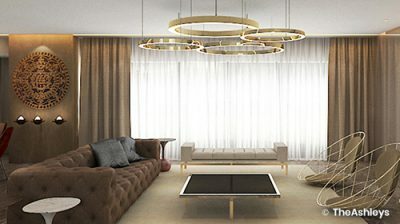 For apartment interior design projects, The Ashleys use textures and diffused lighting to heighten a sense of harmony and warmth in the home. A home must also include stylish living areas where the family can host social events that match their lifestyle and aspirations. An Ashley residence is designed to blend optimum space utilization with striking aesthetic décor, creating a home that is practical but also a style statement. Their maxim, ‘Less is more’ is most apparent when it showcases their creative restraint and sophisticated taste. 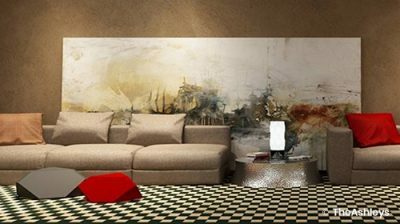 It is this aesthetic that sets them apart as residential interior designers, and their timelessly chic interior designs are testament to this. With The Ashleys at the helm, all the key elements of private spaces design blend with a trademark one-of-a-kind style to truly set your home apart.